"Paul Was Friendly, On Time, Easy To Contact And Very Competant"
"Good Customer Care And Good Advice On Next Steps"
"Incredibly Friendly, Professional And Resolved The Problem." "On Time, Polite, Knowlegable. Highly Recommend." 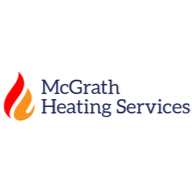 Need a Heating Engineer or Plumber in London?